The Grinch has left Who ville and has invaded the dojo yet again. The Grinch will be making his presents (pun intended!) felt this Christmas in Jam City’s Pop Panda. He made his debut in the game last year and this year he’s bringing a sled full of in game events, activities and seasonal fun. 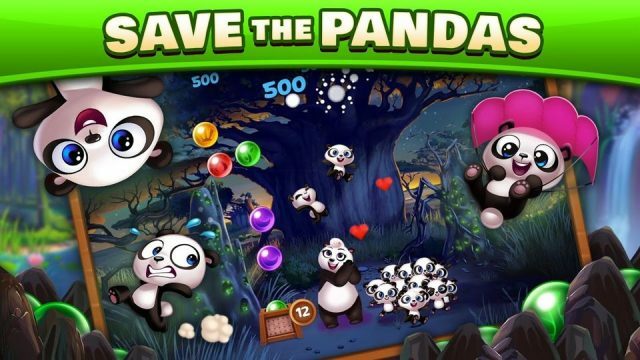 In Panda Pop an evil baboon has kidnapped your panda pups. You play as mama Panda and your aim is to get your pups back by bursting like coloured bubbles. Now mama Panda has to put up with the Grinch trying to ruin Christmas too! Starting December 6th, key areas of Panda Pop will sport a merry makeover, taking on the festive decor, colors, and characters of Who-ville at Christmas – including a Grinch-style snowman! Visit the winterized Zen Garden to participate in limited time events and festive holiday animations. Courtesy of the canine sidekick, Max, earn special Stocking Stuff bonus points as you play. The more you play, the more points you earn from ‘ol Max! Beat new levels without losing … and win rewards to keep you cruising! Reach new thresholds in your win streak to increase the value of your prize. Beat levels without losing a round, to earn bigger and better rewards, to use in your next round of Grinch-style gaming! Help Mama Panda beat a set number of levels within a time limit for a massive, holiday reward! The Grinch is loose in Who-ville! In this special, co-operative event, thwart the delightfully dour Grinch, as he tries to abscond with all the presents and decorations in Who-ville – even the roast beast! 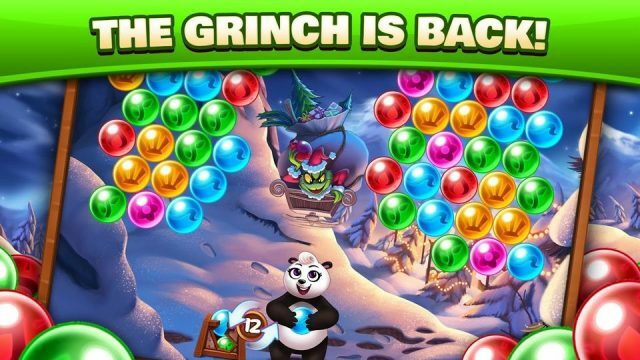 Collect snowballs to throw at the Grinch while he tries to escape with the goodies! Log in daily for an advent calendar style countdown to Christmas! Players are treated to a special gift (don’t tell The Grinch!) 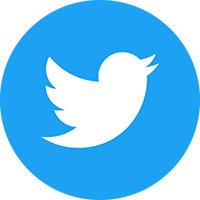 each day they play. 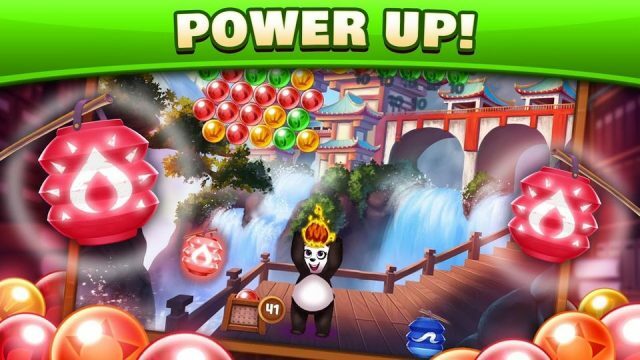 Panda Pop is available now from the App Store and Google Play.